German-born physicist Einstein developed the special and general theories of relativity and won the Nobel Prize for Physics in 1921 for his explanation of the photoelectric effect. Einstein is generally considered the most influential physicist of the 20th century. 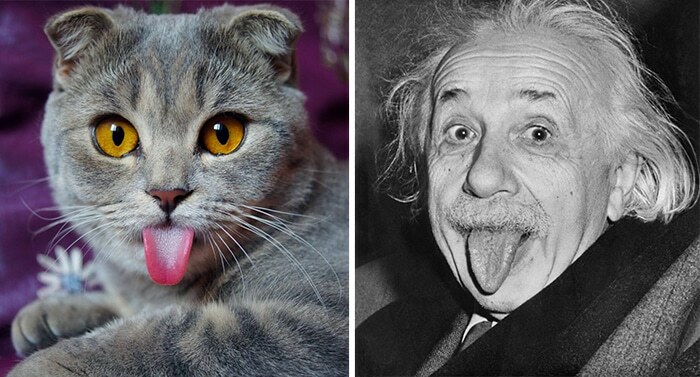 He was often pictured with his tongue out, which is why this grey old cat is the perfect match for this German Physicist.